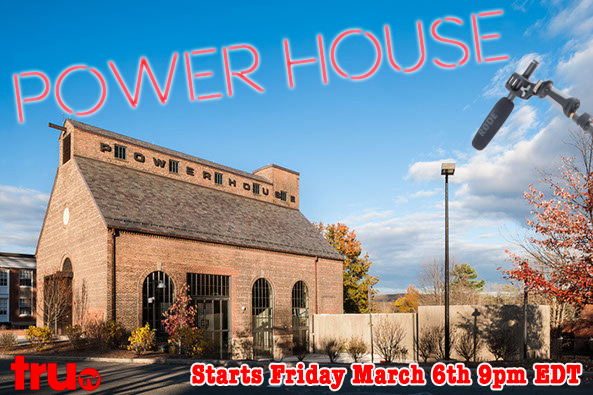 [SPON] “Power House” Reality Show Debuts on TruTV This Friday! From the producers of The Deadliest Catch and Real Housewives of Atlanta comes the most exciting new reality show on TV! Tune in to TruTV on Friday at 9 p.m. for the first episode of Power House! We got it all. All of your drunken stumbling. All of your terrible dancing. All of your ravenous, feeding-frenzy-like devouring of pizza. All of your DFMOs, both fun and regrettable. All of your verbal altercations with UMass kids. All of your standing back and watching UMass kids’ physical altercations with each other. It’s cooky and crazy, it’s wild and hilarious, and it’s and very, very real. “I’m going to be on TV!! !” exclaimed Jason Brown, ’18. Brrrrrrrrrrrr. You feel that? It’s a cold one out there today. And jacket companies companies keep JACK-ing up the prices during the dead of winter to leave YOU out in the COLD. Want a jacket? Need a jacket? Recently lost a jacket? Well I’ve got the answer for you: just a normal, regular-type jacket that I’m selling out of my dorm room. Here’s how it works: my dad, who works for Burlington Coat Factory back home, periodically ships me surplus jackets on Friday and Saturday nights. Surplus jackets! Jackets no one really wanted, that were just left out there for someone to take really, at the Coat Factory, that is. That’s it. That’s the long and short of it. And frankly I don’t know why so many people are asking questions about my legitimate business operation here. You know what? Listen, bub, just because I have a jacket that looks a lot like the one you lost in Stone doesn’t mean it’s your jacket. You’re familiar with fashion, right? The popular jackets, the jackets that everyone likes to wear, they make more of them so there’s a surplus. 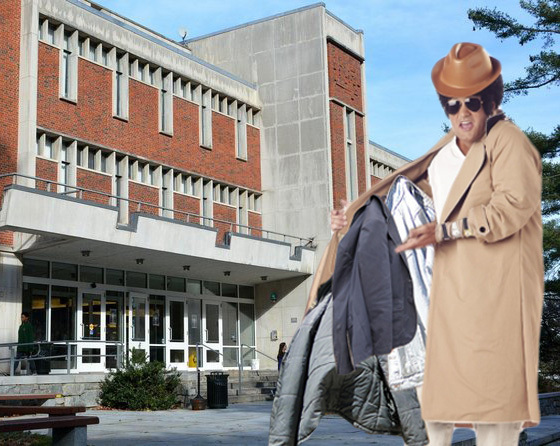 And that’s what this is, a normal surplus jacket selling enterprise out of my dorm room, ok? OK? What it comes down to is, I’ve got jackets and you need jackets, alright? Supply and demand. It’s cold out and I’m not asking much for ‘em, man. Just asking that you stop asking so many questions. “Why does it smell like Keystone?” I don’t know, man. Maybe they drink a lot of Keystone at Burlington Coat factory. Jesus. So anyways, there’s no better deal in town. And we even have a bargain bin—whatever you find in the pockets is yours. I don’t ask any questions, and you don’t ask any questions. Alright. Enough chit-chat: you gonna take this North Face or no?